Beginning in 1905 this book is told through diary entries by Vanessa as well as telegrams and postcards. I struggled at the beginning to get involved with this book, mainly because of the large cast of characters, names that I was unfamiliar with. There is a 'who's who' at the beginning but I always have a hard time with that when reading an ebook. Once I got on track it didn't take long to get immersed in this book. The author was able to portray Vanessa in such a way that I had no problem feeling empathy for her and her situation. Dealing with her husband, Clive and then the problems with her sister Virginia, I would have loved to have heard from both of them just to see what made them tick, especially Virginia. Though I know very little about her, just that she is an author, I am now curious about her life. 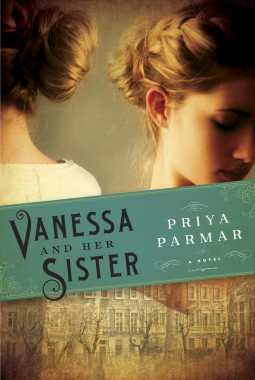 Her relationship with her sister is written in a realistic manner showing what Vanessa endured and had to put up all the while balancing marriage, motherhood and her painting. The book ended a little too soon for my liking, another 10 years of their lives would have been nice. By the end I was really invested and sad to see it end, from what I read online it sounds like the next years were rather interesting as well.